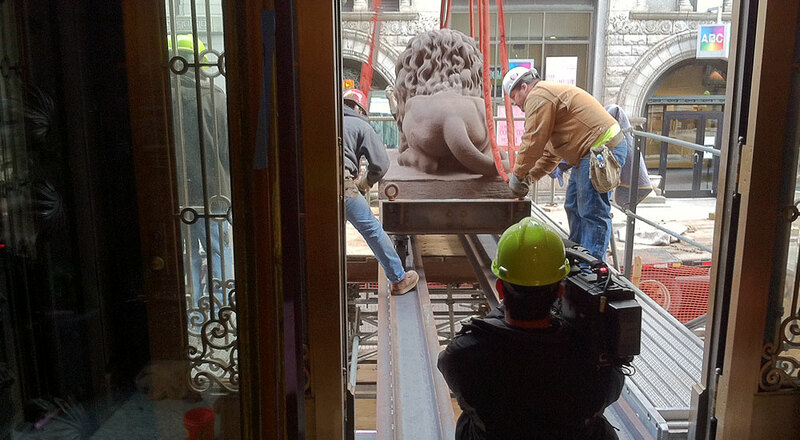 The original Dollar Bank lions were restored off site and then they were returned very carefully by crane lift. 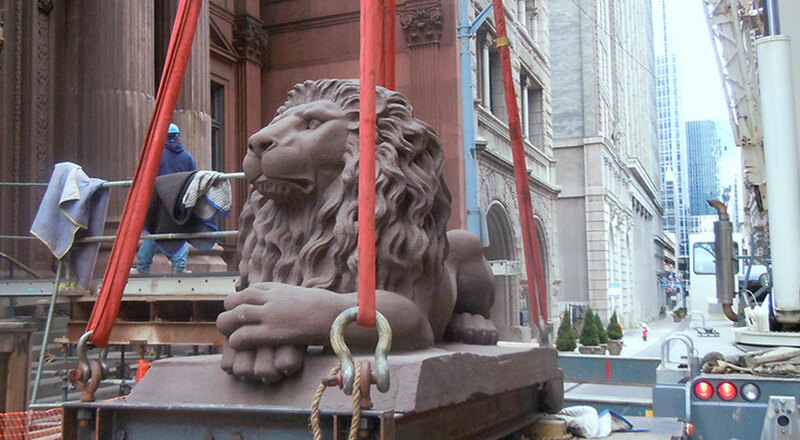 After the original lions were restored brought indoors, new replicas were fabricated for the exterior pedestals. 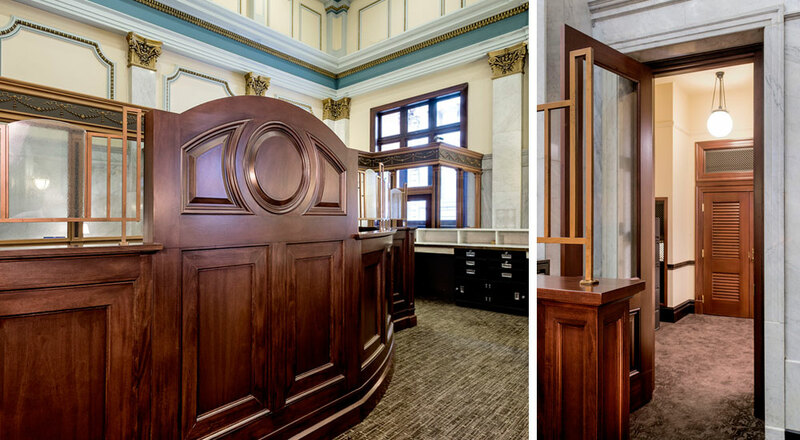 First opened on Fourth Avenue in 1871, Dollar Bank has undertaken a number of renovations to enhance their historic location in downtown Pittsburgh. 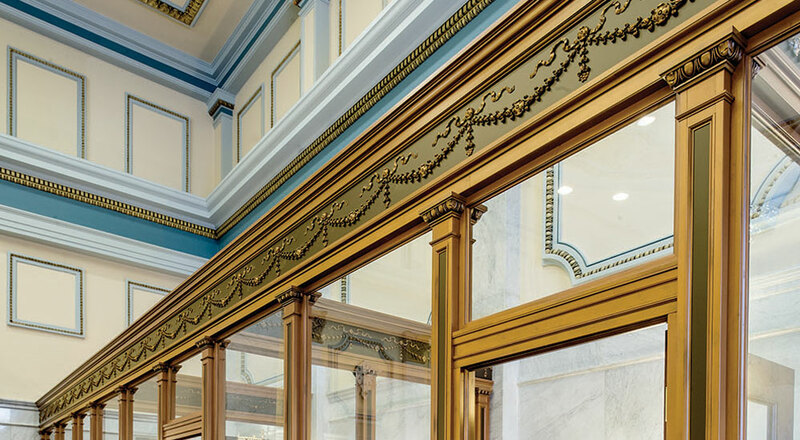 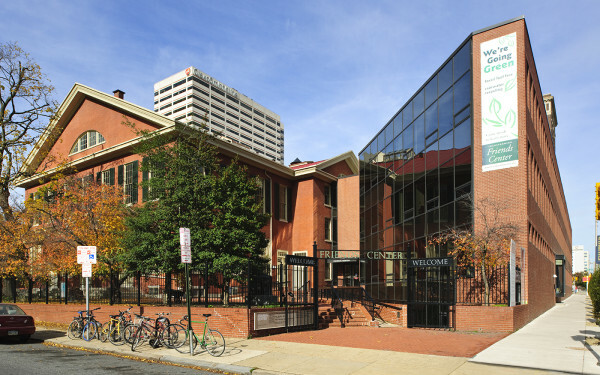 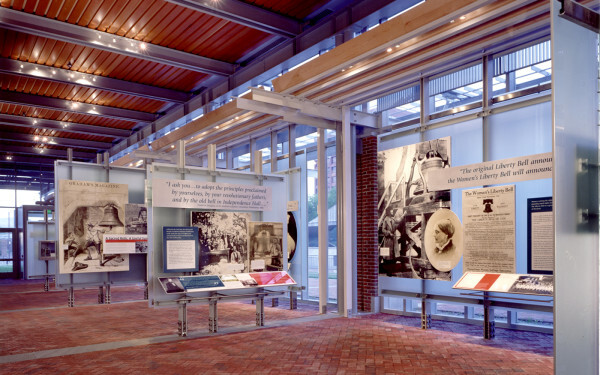 Strada’s recent work has been the transformation of the Private Banking area to match the existing character and finish of the 1905 addition, which added banking offices along the left side of the interior using a modular system of cast iron framing and intricate infill panels. 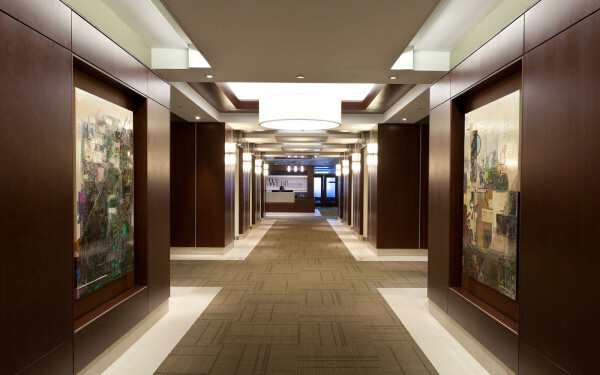 The new Private Banking area faithfully matches the originals, although they are framed in wood instead of metal. 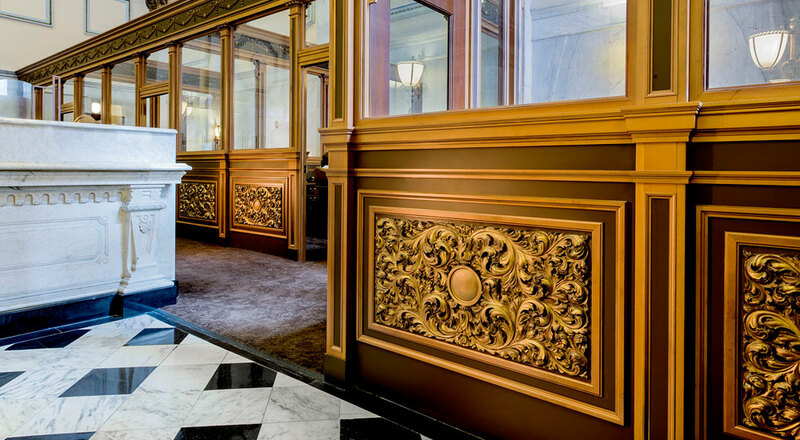 A new seating area complements this row of offices and provides a distinguished place for Private Banking clients to wait in semi-privacy while still enjoying the opulence of the historic interior. 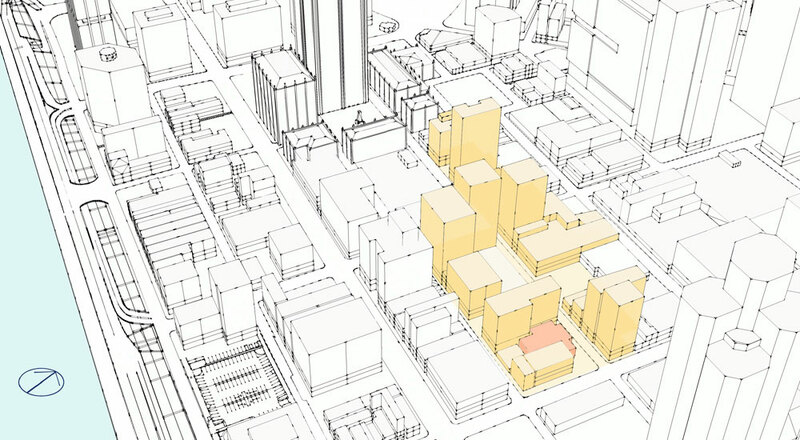 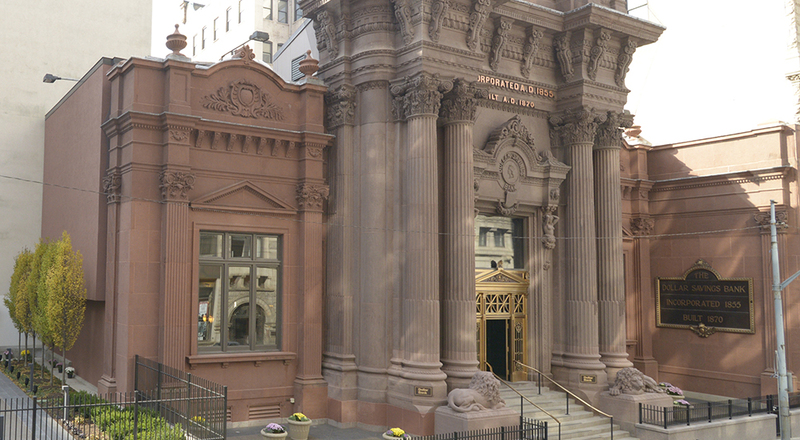 Other tasks included documenting building conditions for upcoming preservation initiatives, and planning the relocation and placement of the original 9,000-lb brownstone lions that have perched outside the main doors since 1871. 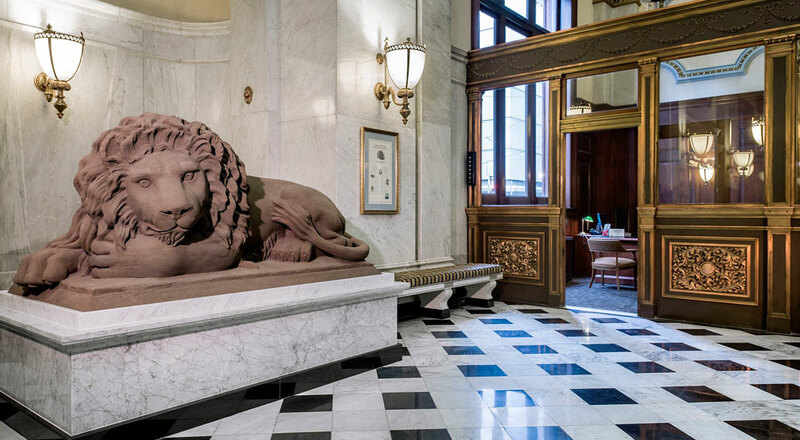 The restored historic lions now rest indoors on marble pedestals, while new replica lions will guard the front doors for the next 150 years. 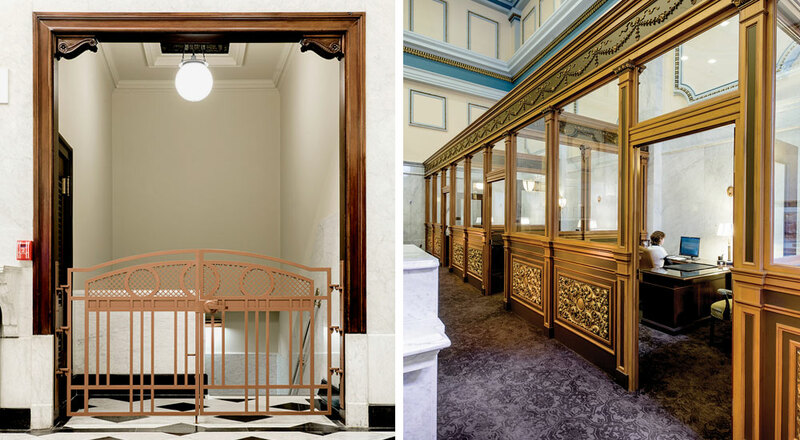 The juxtaposition of the lions as a new interior feature and a solution to a technical preservation issue was well-played and created a new dynamic within the historic context.